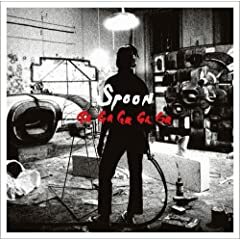 There are some things I just feel a little foolish saying on my radio shows - the name of the latest Spoon full-length was one, and the subject of this post is another more recent one. The Kutiman moniker undoubtedly comes from Ophir Kutiel's last name (though I can appreciate the notion that it's a tribute to Fela Kuti) and the singular 'man' is as important as the 'Kuti' because the fantastic self-titled full-length released recently on Groove Attack is entirely Kutiel's creation. Recorded at his home studio with a handful of guests, Kutiel came up with the album "as a reaction to a confusing return to Tel Aviv after a long trip to Jamaica, where he cut his teeth working with artists such as Damian Marley, Stephen Marley and Turbulance." You read that quote right - Kutiel lives in that suprising hotbed of funk and electronic production: Tel Aviv. Looking at the links on the Kutiman Myspace page it would appear that Kutiel is involved in half the projects listed, including Anikuku and Funk'n'stein. He's taken his experiences with those groups as well as his time in Jamaica and come up with a unified and unique record that blends psych guitars, funk breaks and Afro-beat horns into a glorious racket that connects with every listener I've played it for. The second track on the album, "No Reason For You" is especially winning and was released as a 7" prior to its inclusion on the full-length (it's the first track on the Myspace media player). In addition to his musical acumen, Kutiel is also a pretty decent animator who has created videos for some of his own songs, including a hilarious one for "Chaser." Finally, don't forget to check out the Kutiman Myspace page. He's starting to pick up a lot of steam.